Let’s be real… price is one of the most significant influences when considering a dumpster rental in Washington DC, Baltimore MD, Virginia, Pennsylvania or North Carolina. Our customers will always recognize We Got Dumpsters for its low-priced dumpsters rentals. We are a single priced provider… When you contact us, we will provide you with single pricing platform that includes delivery, pick-up and disposal at a certified recycling center, transfer station or certified landfill. On no occasion will our customers ever have any hidden charges or fuel surcharges – Just a dependable rent a dumpster company that offers trustworthy & transparent dumpster rental in the Baltimore MD, Washington DC, Virginia, Pennsylvania or North Carolina Metro Areas. When you order a dumpster rental in our service areas from We Got Dumpsters you will be able to get rid of your unwanted debris at the first available date. We provide prompt delivery to your office, home, construction site when your dumpster in booked. As our name suggests “we got the dumpster” to fit your requirements. Often… if we receive your rent a dumpster order early in the day… we can delivery on a same day basis. 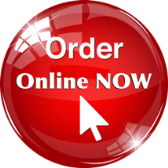 Payment is secured over the phone… Soon we will also offer “secured” Online Ordering. We accept all major credit cards including Mastercard, Visa, Discover & American Express. As soon as your dumpster is secured & booked, an email confirmation with your credit card receipt and term of service will be emailed to address supplied. We Got Dumpsters has a wide variety of dumpsters sizes to choose from. We also offer dumpsters precisely for masonry dirt, concrete, yard debris and including recyclable debris. If you’re not sure which dumpster best fits your needs… Please consider relying on our experience customer service team to lead you in the most informed way. At WeGotDumpsters.com it is always our goal to be environmentally friendly. Due to EPA guidelines, there are specific items that cannot be placed into our dumpsters. These items are biohazardous materials, propane tanks, batteries, equipment containing oil or gas, paint (but dried paint cans are allowable), solvents, liquids, fertilizers, Freon or other chemical compounds. Mattresses and tires are accepted for an added cost. We only utilize landfills and waste recycling facilities that achieve top diversion costs. - Lower Cost - Unless you have just a few items to get rid of… renting a trash dumpster is far less expensive than retaining a full-service junk removal business. - Cleanliness - If your desire is to hire a junk removal business, you will need in advance have all your debris and trash piled up for loading by the junk removal company. - Frequently when a junk removal job takes more than one day… it becomes a dirty and unpleasant neighborhood eyesore. - Transparency - With a dumpster rental from WeGotDumpsters.com you will totally understand the exact cost structure of your dumpster rental before its scheduled delivery. Junk removal businesses cannot give customers a price or cost until after they arrive at job site and evaluated the amount of trash and debris for removal. The trash removal company usually charges based on the amount of trash volume or the amount of space used on their truck. - Delivery - When customers call our professional & experienced team at WeGotDumpsters.com, we will ask them to clearly about the exact location where the customer wants their dumpster placed & delivered at their home, office or construction site. Our theory is… At We Got Dumpsters is that we only one chance at a 1st impression. We will always treat our customers respect and professionalism to ensure future business opportunities & business referrals. We will guide our customer thru the entire process of renting a dumpster from WeGotDumpsters.com. Whether you need trash dumpster or construction dumpsters for your removal of waste. Our staff will help you find the right dumpster size for your needs. We accept all major credit cards in the process of renting your dumpster. Our accepted forms of credit payments are: Mastercard, Visa, Discover & American Express. Immediately after the payment is processed… you will receive an email confirming the dumpster rental payment & reservation. We Got Dumpsters – Junk Removal delivers welcoming customer service, inexpensive rates, and the finest residential junk removal in DC MD & Northern Virginia. We like our recycle rates and our continued service to the public.  All you need do is make a call to (301) 328-2001 today to speak with one of our well-informed team members about your residential junk removal needs. Once we have looked over your job, we will give you a quote that cannot be beat for the level of service we offer. All that is left is watching our team get it done. Before you know it… the junk that has been driving you silly will be nothing but a recollection. You can feel good knowing you moved on in a responsible, Eco-friendly way using our family-owned local business. We Got Dumpsters is a family-owned and operated professional junk removal company serving the residential and commercial communities of Washington DC, Maryland and Northern Virginia areas. From providing a roll-off dumpster rental or removing minor incidentals or clearing-out entire garages, we can handle the whole process. Call us today at (301) 328-2001 for all your dumpster rental and junk removal needs.